Garmin's line of geolocation devices features a mix of free and paid upgrades to the maps that support the Global Positioning System features that consumers rely on to identify their location and track their routes. 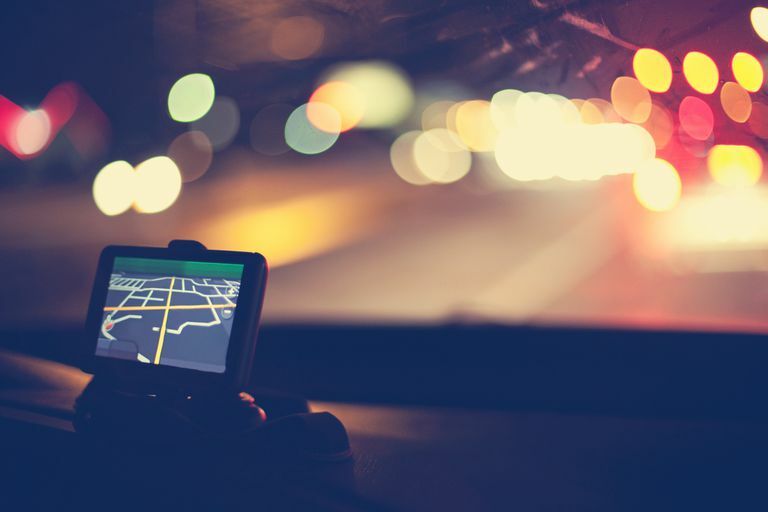 Downloading new Garmin maps and updating old ones is the best way to make sure you're getting the most out of your GPS device. If you've purchased one of Garmin's many GPS units that offer free map updates, visit the company's Map & Map Updates page, which will prompt you to download and install the Garmin Express map updater utility. If you don't already have Garmin Express installed, follow the instructions at the bottom of this article to get it on your computer so that you can update your Garmin maps. The program works on both Windows and macOS. If you don't have free product lifetime map updates available to you, purchase Garmin road maps. You can purchase road map packs as downloads or as SD card updates. Once you're on the Road Maps page, you can filter the downloads by location or download type. Garmin golf devices come with free lifetime course updates, including more than 15,000 courses worldwide. Garmin pioneered free course updates; companies used to charge significant annual fees for this feature. Much like map updates, you can update golf course maps through Garmin Express. Maps for cycling include street maps and topo maps for training, touring, or commuting. You can purchase Garmin cycling maps from different regions, including the United States, Canada, New Zealand, Europe, and other places. Handheld GPS devices are great companions for hiking, fishing, hunting, and similar outdoor recreation. Garmin's outdoor map updates keep you navigating with the latest and most accurate information. Once you choose a type of outdoor map to download to your Garmin, depending on the one you get, you can pick a specific region and format before making the purchase. Many boaters depend on Garmin charts for waterways ranging from small lakes to the open ocean. These marine charts — including BluChart, LakeVu, and Fishing Hot Spots — will keep you off the rocks. If you're not sure if any particular marine chart is compatible with your Garmin, click through the page until you see a COMPATIBLE DEVICES section, and look for your Garmin there. Aviation is a separate and highly regulated part of Garmin's database offerings. The Fly Garmin page serves as your central resource for staying on top of the latest information and keeping your data current. The Garmin Express application is key to updating maps for many devices. Garmin Express lets you update your maps, upload activities to Garmin Connect, update your golf course maps, and register your products. Simply plug in your Garmin device through your computer's USB port, download and install Garmin Express for Mac or Windows, and open the application. The program should automatically find your device and show that it's connected. The app prompts you to update your software or maps or sync your data. Plug in a USB port or SD card to update your maps with Garmin Express. The Garmin Express application offers a convenient way to maintain the latest operating system on your device. You can also sync fitness and golf devices directly into Garmin Connect when you are logged onto that service. If you update your device's operating system, after Garmin Express informs you that the update is complete, disconnect your device, then turn it on to restart it to activate the updated operating system. Your Garmin will prompt you as it steps through the update process. Your devices will typically retain your personal settings after any operating system or map updates. Downloading maps, whether free or paid, requires both an account with Garmin's website as well as registration of your Garmin device. You'll need to register an account before you begin; you can register your device during the initial device pairing with the software. Maps and updates that are available to you are accessible through your myGarmin login.